To make a song as a bedroom guitarist you need someone to play the other instruments, you know the ones us guitarists don’t care so much about: bass and drums. For drums there are excellent VST plugs, foremost the Swedish Drumkit from Hell (which I use myself) and it’s big brother Superior Drummer. 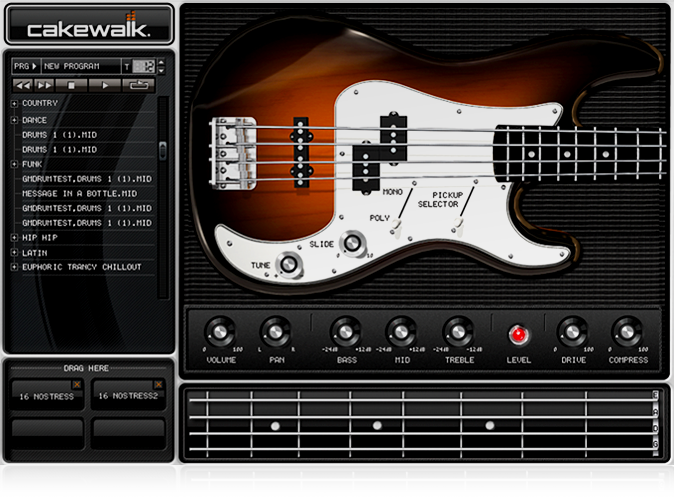 There are however also a number of bass VST alternatives for those that don’t have a bass player. 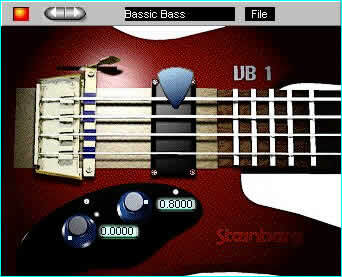 Steinberg, the company behind the industry plugin standard VST has released a pretty basic bass VST for free, probably because its a couple of years since it was updated. This is the only plugin I have tested. Is it any good? Hard to say, but it is actually mentioned quite often on forums as a good free alternative. It has a few settings that affect its sound – tone, pickup placement and plectrum position. In my ears it sounds quite decent and you don’t hear much of the bass in metal anyway (you mostly notice something is missing if you take it out) :-D.
It seems gone from Steinberg’s own FTP now, but Google “Steinberg VB1” and you will find lots of download links. A good number of professional guitarists who use virtual instruments seem to have chosen Trilian made by Spectrasonics. I haven’t tried this bass vst myself, but to me it seems very reasonably priced at €229 considering what it delivers according to the official demo videos. It has really cool effects like translating velocity on a midi keyboard into legato, staccato, slides and other bass playing styles. Cakewalk, who are probably best known for their DAW Sonar, have a package of four VST instruments for the reasonable price of €49,99. You get a drum kit (probably not really comparable to the Toontrack VSTs mentioned above), an electric piano, strings and of course an electric bass vst. Included besides the instruments are a number of premade rhythms and tracks you can drag and drop into your song (like the grooves in Drumkit From Hell). The package as a whole has received rather mixed reviews, but it’s mainly the drums and the electric piano that are mentioned in bad terms while the bass and the strings get positive opinions. At 50 euros I think the bass alone is worth the price, so I’m inclined to test it. Maybe there will be a review here later on. Thanks to Chris at MetalGuitarist for this interesting find!